A version of this column was published in USA Today on July 3, 2013. One recent day in my primary care clinic, I had a full schedule and was unable to see a patient for her cough. She instead sought medical care at a local drugstore, where she was treated for bronchitis. Normally housed in pharmacies and department stores like Target or Walmart, such retail clinics have grown in popularity, numbering over 1,400 nationwide today. While convenient for minor ailments like sore throats or urinary tract infections, some of these clinics want to do more. 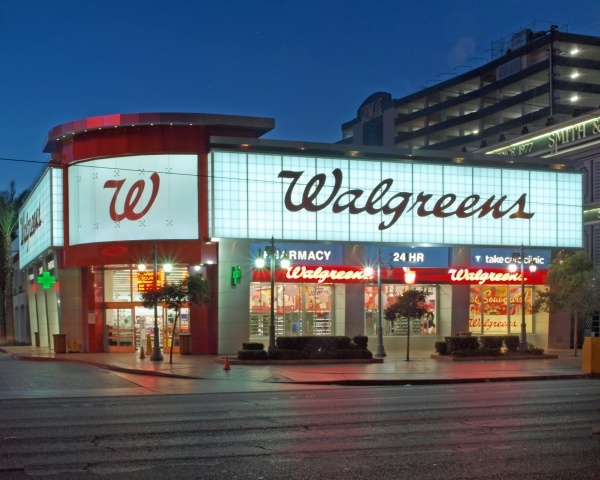 Walgreens recently announced that their clinics would manage chronic conditions normally handled by primary care physicians like myself, such as diabetes or asthma. While retail clinics already monitor chronic diseases, they only do so after first diagnosed by an outside primary care physician. Walgreens takes it a step further by having its clinicians diagnose these conditions themselves. Competing clinics, like those found in CVS pharmacies, are considering following Walgreens’ lead. While expanding the scope of retail clinics undoubtedly improves access, are they properly equipped for primary care? Indeed, I find managing diabetes or high blood pressure is far more effective after developing a relationship with patients and getting to know their individual preferences over time. Patients who go to retail clinics are more likely to see a rotating set of providers. And rather than personalize treatment, they follow standardized medical protocols to abide by the American Medical Association’s retail clinic policies. Poor sharing of medical information also fuels fragmentation. Electronic record systems of hospitals within blocks of each other often cannot speak to one another, let alone with one from a retail clinic. It’s unlikely that a drugstore provider can access a patient’s medical record, which would mean starting care from scratch. People with diabetes, for instance, commonly have concurrent conditions like kidney or heart disease, and may be on a medication regimen that has been fine-tuned over years. Without records, important details may be missed, or duplicate tests ordered. Patients with chronic disease are also more complicated than those retail clinics typically see. In my office, a seemingly simple diabetes follow-up can turn into a lengthy, nuanced visit where a patient’s recent hospitalization is discussed, medication doses are adjusted, and perhaps underlying depression uncovered and treated. These patients require close follow-up. They sometimes page me in the middle of the night or on the weekend with questions stemming from their visit. Try that with retail clinics, which generally don’t forward phone calls to their providers and instead refer questions to call centers. Finally, do providers employed by publicly traded, for-profit pharmacies have patients’ best interests in mind? Drugstore clinics may be influenced to increase pharmacy revenues by sending prescriptions to be filled within the store or recommending products a few aisles over. According to Consumer Reports, the price of generic drugs at large U.S. pharmacy chains, including CVS and Walgreens, can be as much as 18 times more expensive than wholesale chains like Costco. For retail clinics to be viable for primary care, they must not compete with doctors and siphon off patients, but instead join local primary care practices so that patient information resides on a shared electronic medical record and follow-up care closely coordinated. Patients should also have the explicit option to have prescriptions filled at their pharmacy of choice, where prices may be cheaper. Only then can patients enjoy the convenience of retail clinics, maintain continuity of care, and navigate the inherent conflict of interest of being treated by pharmacy-employed prescribers. Until that ideal is realized, retail clinics are fine to treat your cough or sore throat, but should not substitute for your primary care provider.